The American Health Council is proud to honor John Inadomi, MD as “America’s Best Doctor” for his contributions to the gastrointestinal field. 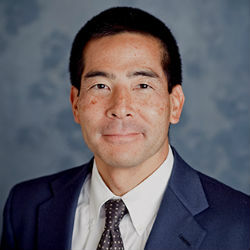 Currently a professor of medicine and the Head of the Division of Gastroenterology at the University of Washington School of Medicine in Seattle, Wash., Dr. Inadomi provides educational and medical guidance for patients, students and his peers. While he has held the latter role for over 8 years, Dr. Inadomi has spent nearly 30 years in the healthcare industry expanding his knowledge and skills in the care of patients with gastroenterological disorders, and research in the prevention of gastrointestinal cancers. UW Medicine staff work together as a team—with you at its center—to provide the most effective and compassionate care, always. From proactive prevent ive care to breakthrough discoveries fresh from the lab, UW Medicine is here for you today, and training for your tomorrow. Harborview Medical Center and UW Medical Center together account for 41,000 patient admissions and 1 million outpatient and emergency room visits to the two hospitals and affiliated clinics each year. Founded by a consortium of hospitals in the Seattle area, including Harborview Medical Center, UW Medical Center and Seattle Children’s, Airlift Northwest has provided air medical transport for more than 60,000 patients since 1982.